I've mentioned my love for avocados. 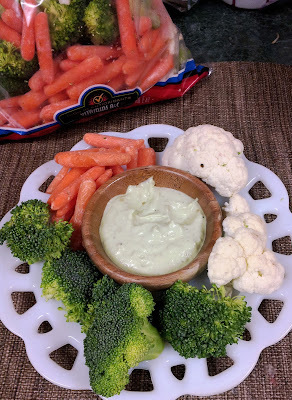 I also love dips. In fact, dips can be quite dangerous sometimes around here. While this isn't the healthiest of dips, I did manage to use light mayo and sour cream which helped a bit. I want to substitute greek yogurt for half of the mayo and sour cream and see how that works. I suspect it will be just fine and even healthier. This garlic avocado aioli is fantastic. I couldn't stop eating it. 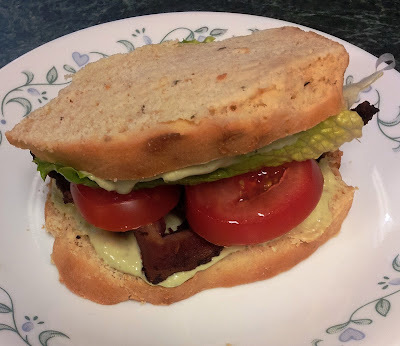 I loaded a bunch on some gluten free bread and made myself a BLT. So, so, so good! 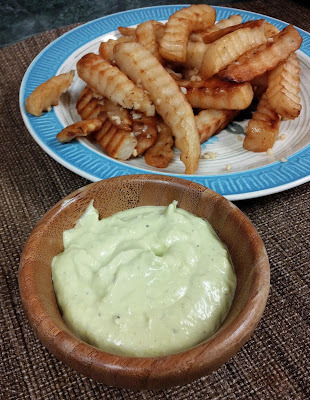 Loved it with veggies and Garlic Fries as well. You can't go wrong with this. Add all the ingredients to your food processor. Puree until smooth. Store in refrigerator.